A version of Smith’s ongoing project ∆E=W was created for performance at Art14 responding specifically to the context of the art fair. A series of performances were created over the course of an afternoon, emerging and disappearing within the crowds of visitors. The work was enacted by a group of 15 pre-selected members of the public along with the artist. 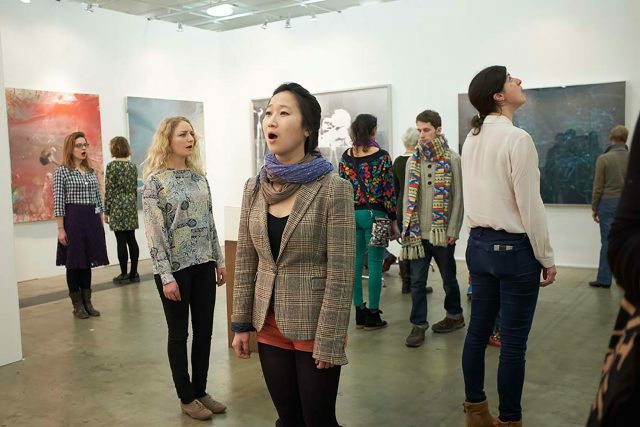 The work centres around the use of a vocal practice in response to one’s surroundings; art, architecture and people. The vocal practice involves the use of a singular vowel sound produced without conscious consideration and projected on the breath as a means of communicating the reverberation and energetic experience of the body in (social) space at any given moment. 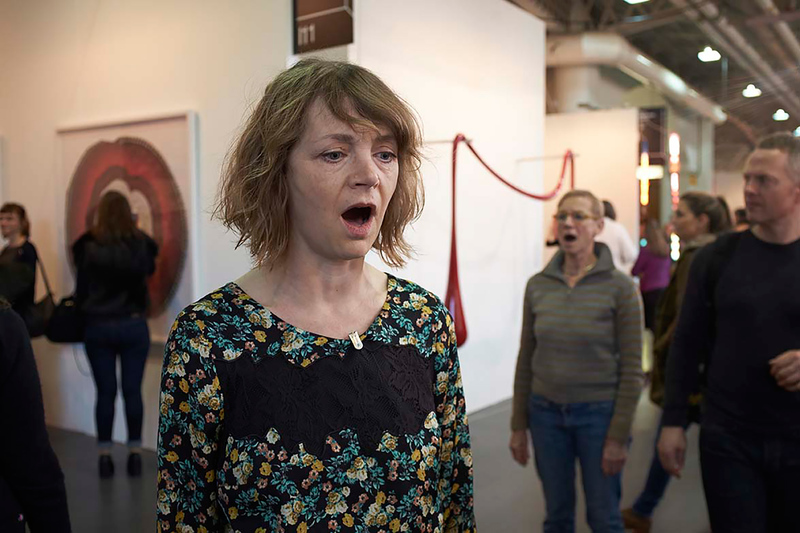 As a group this vocal practice was performed in response to the art work, architecture and visitors to the fair. Appearing anonymously within the crowd the performances emerged by stealth in the space of the fair before disappearing as gently as they appeared with the group dispersing as if normal visitors. Special thanks go to curator Amanprit Sandhu and Kelly Large, to all the galleries that hosted this performance and to everyone who enacted the work.